And when I opened the link on my cellphone at work I saw a new and updated version of the site that I wanted to explore after working hours. But now that I am home I notice that the website is only updated on the mobile version and not when you use a regular computer. I have checked the link on both Explorer and Firefox and both versions looks like the website used to look. Maybe they stumbled on some problems today going live, I dont know. UPDATE: You need to press F5 (refresh) to be sure that you see the latest version of the site. In the email from Ian Fleming Publications it said that they would appreciate our help in spreading the new website amongst fans and that line got to me. It is wrong to hit the hand that feeds you but I need to say a few words about this. The sad thing is that I have emailed Ian Fleming Publications a few times and most of the times they have not bother to answer my questions at all. I have heard that other bloggers have had the same problem. And may I just say that this is so wrong and might be appropriate in the sixties but not in 2016. 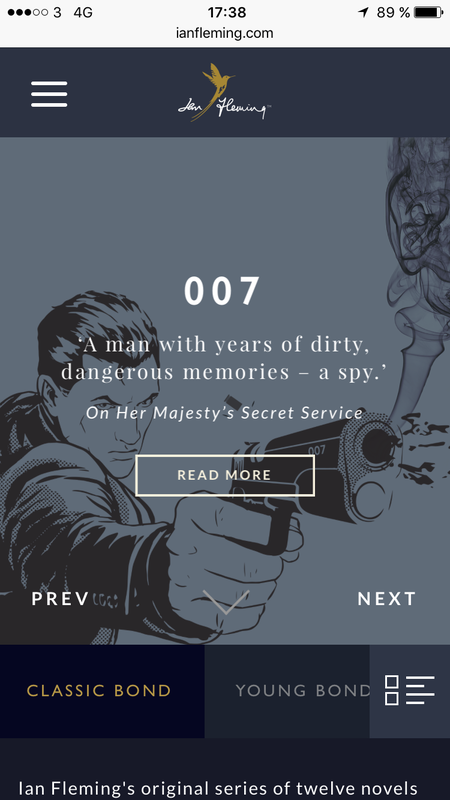 I spend ours every week promoting books about our beloved secret agent and my blog posts actually reaches thousands of fans nowadays. 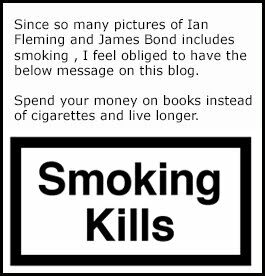 Ian Fleming Publications and other publishers gets all of my time and the time of the blogs readers for free and even so, they don't bother to answer emails that can give them even more publicity. Ian Fleming Publications says that they do not answer emails from people they do not have a business relationship with. But then they go and email me wishing the blog to highlight that an update has occurred on their website. I would love to make a blog post out of that but at the same time it makes me feel like a young kid that you can trick into anything you want. To be quite honest this is just wired and someone at Ian Fleming Publications should pay attention to this problem and have it sorted out. During daytime I work with sales towards cinemas in Sweden and I would never even dream about not supporting the cinemas with whatever they might be needing. With that said I hope that I have not burnt all bridges now and that when I spend my free time to write a publisher an email, that they will answer. Together we can increase sales of James Bond books and I bring all my time for free to the table. This blog is reaching 55 000 page views during it's first year.